Sant Kabirdas is known for influencing the Bhakti movement, Sikhism, Sant Mat and Kabir Panth movements and hymns in the Guru Granth Sahib. The birth and childhood of Kabir are hidden in mystery. There is controversy only the date of his birth. Most probably, he was born in 1440 A.D. and lived till 1519 A.D. Kabir Jayanti falls on June 28 and today is the 620th birth anniversary. According to the legends, Kabir Das was born to Muslim parents in the state of Uttar Pradesh. He turned to spirituality at a very tender age and he called himself as Lord Ram’s as well as Allah’s child. He did not believe in any religious discrimination and readily accepted all the religions. Sant Kabir Das propagated that there is the presence of same Supreme Being in all religions. Sant Kabir Das was a highly acclaimed poet of his time. His writings significantly influenced the Bhakti movement. 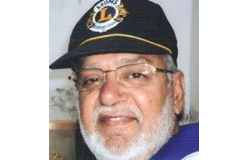 Some of his famous writings include ‘Sakhi Granth’, ‘Anurag Sagar’, ‘Bijak’ and ‘Kabir Granthawali’. A religious community known as ‘Kabir Panth’ was founded by him and the members of this forum are referred as ‘Kabir Panthis’, implying the followers of Kabir Das. He was admired by the individual of all faiths and his teachings are still alive and passed through generations. Kabir was full of humility. He wanted a man to give upon pride, anger, envy, and ego. He composed devotionals Bhajans, known as the Kabir Doha. His songs touched the heart and roused emotion. Sant Kabirdas was a famous poet, saint and social reformer of India. His writings have greatly influenced the Bhakti movement. 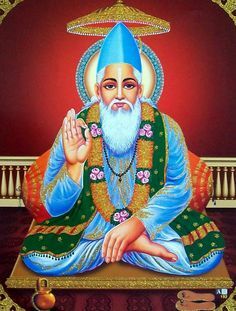 Kabir Panth which is a religious community recognizes him as its founder and its members are known as Kabir Panthis, the followers of Saint Kabirdas. According to popular beliefs, Kabir was the son of a Brahmin woman. While an infant, his mother left him near as tank of Benares’s Muslim weaver named Niru found the child and took it home. His wife brought up the child like her own son. The child was named as Kabir. Kabir grew up as a Muslim. He learnt to weave and worked as a weaver. Kabir did not leave home to become sannyasi. Instead, he left as pious householder. As a poor weaver, he learned his humble livelihood. His real work, however, was devotion to God and religious bits of advice to fellowmen. His sayings attracted countless Hindus and Muslims. Kabir says if God is within the mosque, then to whom does the world belong? If Ram is within the image which you find upon your pilgrimage, then who is there to know what happens without? Hari is in the East, Allah is in the West. But you look within your heart, for there you will find both Karim and Ram. Frankly speaking, Kabir was admired by the individual of all faiths and his teachings are still alive and passed through generations. The hallmark of Kabir's work consists of his two line couplets, known as Kabir Ke Dohe. Among the important one is Bura Jo Dekhan Mein Chala, Bura Na Milya Koi, Jo Dil Khoja Apna, Mujhse Bura No Koi – When gone to search for a bad man, did not get any bad man, But when searched within my heart, there is no worse than me. His two-line Dohe – couplets – there are important because one sees symptoms of life management in these couplets which are so simple in language but have deep meanings. And if these become a part of your life, there is a total transformation.